KUWAIT CITY — The scene U.S. forces encountered as they pushed into Kuwait in 1991 to end the Iraqi occupation could only be described as a hellscape. Hundreds of burning oil wells set ablaze by Iraq's army had left sand sodden in an oily sludge and the skies overhead choked with thick black smoke. As they fled, Saddam Hussein's troops took what they had looted from homes, private property and state buildings. As many as 5,000 Kuwaitis were dead. Twenty-five years later, the Iraqi occupation and its aftermath still shapes life in this tiny emirate at the tip of the Persian Gulf, now challenged by power struggles, a failure to diversify its oil-dependent economy and the growing disillusionment of its youth in the wake of the 2011 Arab Spring uprisings. "After the liberation, Kuwait was supposed to bring about a very promising dynamic to its society," said Shafeeq Ghabra, a political science professor at Kuwait University. "Sadly, 25 years later, Kuwait is navigating its way in a very troubled region that reflects its problems on the feelings and temperament of Kuwait's citizens." 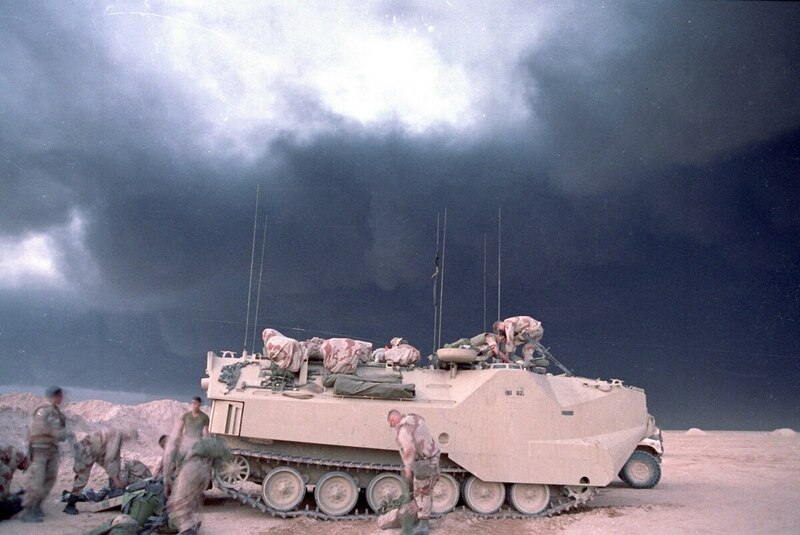 Many in the West were unfamiliar with Kuwait prior to the Aug. 2, 1990, Iraqi invasion. With just 6,880 square miles (17,820 square kilometers) of territory, Kuwait is smaller than New Jersey. But within its confines lie massive oil reserves — the world's sixth-largest — that have allowed Kuwaitis to enjoy cradle-to-grave subsidies and drawn a large expatriate population, including many Palestinians who came to fill technical jobs. Before the invasion, the country's population of 1.6 million was 60 percent foreign. It proved to be too tempting of a target for Saddam as his troops, hardened by the 1980s war with Iran, rushed into the country and pushed aside Kuwaiti forces. 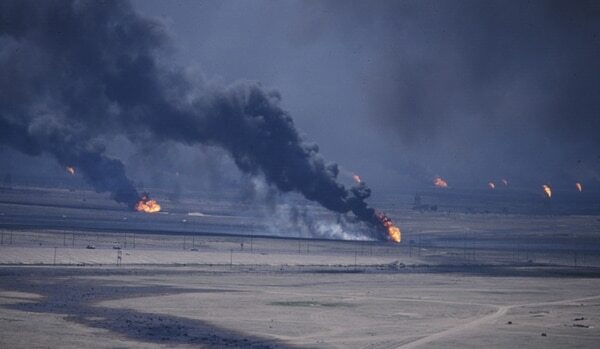 Kuwait's oil wells burn on March 2, 1991, after the defeated Iraqi troops were expelled from Kuwait. Kuwait's emir, Sheikh Jaber Al Ahmed Al Sabah, and his royal court fled to Saudi Arabia, where they directed an armed resistance from their temporary abode in the luxury penthouses of a Saudi hotel in the western mountain city of Taif. By the time the U.S.-led coalition retook the country following a ground war that lasted only 100 hours, much damage had been done. It took months for firefighters to cap and stop the oil well blazes set by the retreating Iraqi army. Iraqi troops also had flooded the Persian Gulf with as much as 336 million gallons (1.3 billion liters) of oil, the biggest offshore spill in history. For four months after the Iraqis were pushed out, Kuwait was ruled under martial law. Kuwait's security forces, angered by Palestinian leader Yasser Arafat's support for Saddam's invasion of Kuwait, targeted Palestinian expatriates and other foreigners. Many Palestinians fled, while Kuwaiti officials arrested thousands. Dozens were killed, while activists at the time said hundreds were tortured. Today, Kuwait is home to 4.2 million people, some 70 percent of them foreigners. It has a freely elected parliament, though recent elections have seen largely pro-government lawmakers gain seats. A new skyscraper-studded skyline has risen in its capital, fueled by high oil prices. The Al Sabah family still rules the country, with Sheikh Sabah Al Ahmad Al Sabah now serving as emir. The monarchy controls all key government positions, yet nowhere else in the Gulf can elected lawmakers block initiatives or question officials, calling in Cabinet ministers for grilling over allegations of mismanagement and other issues. But there is widespread frustration over government policies and corruption. Though Arab Spring-inspired protesters stormed parliament in 2011, Kuwait largely escaped the unrest that swept the region. "After the liberation, we hoped that Kuwait would be rebuilt to its days of glory, the golden '70s and '80s, when it was at the forefront in terms of development in the region," said Nadia Sager, a writer whose book on the Iraqi invasion was turned into a popular television drama. "I wouldn't be exaggerating if I say that no one is that optimistic anymore." 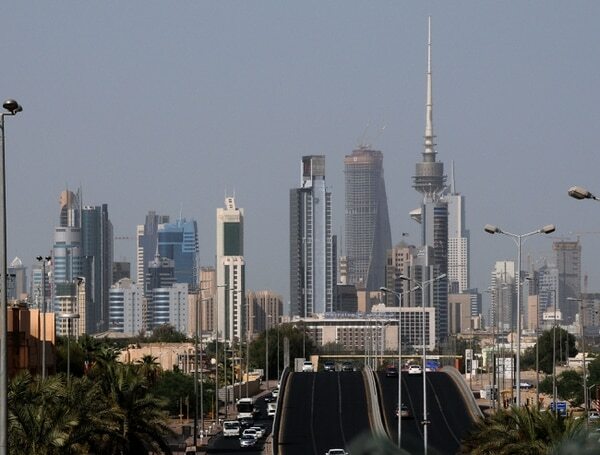 A July 19, 2009, file photo shows the Kuwait city skyline. The oil-rich, tiny country of Kuwait is still shaped by the 1991 Gulf War. Though some Gulf countries have diversified, oil remains the driver of Kuwait's economy, leaving it vulnerable to low global prices. Lawmakers are looking at making unpopular budget cuts in response. Another pressing concern is terrorism. Kuwait, home to both Sunnis and a minority of Shiites, largely has avoided the unrest gripping the rest of the Mideast following al-Qaida attacks and the 2003 U.S.-led invasion of Iraq. However, the rise of the Islamic State group has worried the country, especially after a June suicide bombing at a Shiite mosque in Kuwait City claimed by the extremists killed 26 people and wounded 227. Soon after the attack, Sheikh Sabah visited the bomb site in a sign of support. There are also other sectarian and domestic issues. Over 100,000 people live in Kuwait without citizenship. Known by the Arabic word "bidoon," they are pressing for government recognition. Kuwait's youth population is growing increasingly disenchanted over corruption, poor governance and lack of reforms. "The government's failures to bring about progressive change, in infrastructure and development projects especially, is undeniable and is affecting the new generation," Sager said.